Former Colombian hostage Ingrid Betancourt recently told the story of her six-year captivity in a book which was released last month. Betancourt, a former presidential candidate in Colombia, was held for more than six years by Marxist rebels before the Colombian military rescued her and 14 others in 2008. The book is called "Meme le Silence a une Fin," or "Even Silence Has an End." In June, Betancourt filed a suit, asking for about $7 million from the Colombian government for the years she spent as a hostage. Betancourt and her family members say the government did not do enough to protect her. Betancourt was freed in a high-profile helicopter rescue mission in July 2008. Colombian commandos posed as humanitarian aid workers to free the group, which included three U.S. military contractors and 11 Colombian police and military members. 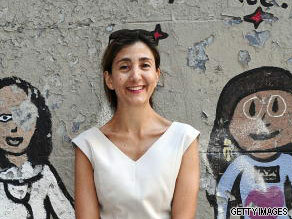 Here's your chance to have your questions answered by Ingrid Betancourt. Do you want to know more about her time as a hostage? What does she think of the current situation in Colombia? Please leave your questions for Betancourt below and be sure to include where you're writing from.